Ashtanga yoga is a beautiful fluid practice flowing from one posture to the next, creating a strong yet graceful sequence. In ashtanga yoga, the asanas (postures) are linked together with the breath and are synchronised in a series of movements. As you learn the sequence you will naturally go deeper into the series and with time and commitment your practice becomes a moving meditation and you will become more aware and present. You can begin the ashtanga series with a very slow gentle practice. In time as you build your strength, flexibility, stamina and understanding of the primary series you will grow into the whole yoga sequence, your body will become lighter and healthier and the mind and senses are calmed. The ashtanga yoga sequence is based on the breathe, movement synchronisation. This heats the body, removes toxins and purifies the body, mind and nervous system. Shavasana, is a time period of silence at the end of the yoga session, to allow the integration of the healing to take place, and to allow the body, mind, and spirit to re-calibrate, into a new state of harmony and alignment. To ensure you are fully grounded before you leave, feeling refreshed and rejuvenated. Ashtanga yoga is a beautiful spiritual practice. It is recommended that you start with a gentle beginners class and build up over time. If you have been practicing another style of yoga for a while it is important that you have knowledge of the sequence before you join an advanced class. This will not only prevent injury but will also be mindful of your energy levels. We have a guild line of one to one and a half years before joining the advanced class and practicing the full primary series. Your yoga teacher will support you and if they can see you are ready to change the pace they will discuss this with you to see what you would like to do. Yoga is non competitive, its about being relaxed and fully present in each asana (posture) while keeping the breath steady. This is far more important than advanced asana’s (postures) and should be the main focus of any yoga class. If the breath is steady, the mind will be steady and your energy levels will build, this will all help aid in the healing process and cleansing of the mind, body and soul. Our beginners yoga classes run in 6-week blocks, and are ideally but not essentially, followed after attending the beginners workshop. We will introduce the basic principles of the ashtanga practice, coordinating breath and movement in a mindful way, and each week will add new asana or postures. Ashtanga yoga is a powerful tool for self transformation. It is suitable for all ages, body types and fitness levels. Students will over time develop a self practice, that is developed at a pace that is suitable for each individual. Individual modifications and adjustments will be offered to allow you practice in a way that is suited to your body. These classes will be taught as a led class, giving you a taste of the graceful flowing movement and meditative aspect of the practice. When you feel ready and are comfortable you can move on to the next level or to join in the Mysore classes. New to Yoga? Wicklow Yoga is offering a six week course introducing yoga to beginners. This will be run at a slow and steady pace, breaking the postures (asana’s) down to ensure the correct alignment with emphasis on safety. You will also learn to focus on breath work and deep relaxation. In this way you will get to know your body and learn to build on your practice, to the level that suits your needs. Keeping the class flowing at a gentle pace, this class is suitable for people who are ready to take the beginners class up a level, or anybody that is interested in a slower pace practice. It may also suit those who may have been away from yoga for a while and want to try it again. These yoga classes will allow you to explore further into the practice, while linking asana’s (postures) and developing an awareness of the ashtanga vinyasa series in a relaxed manner. 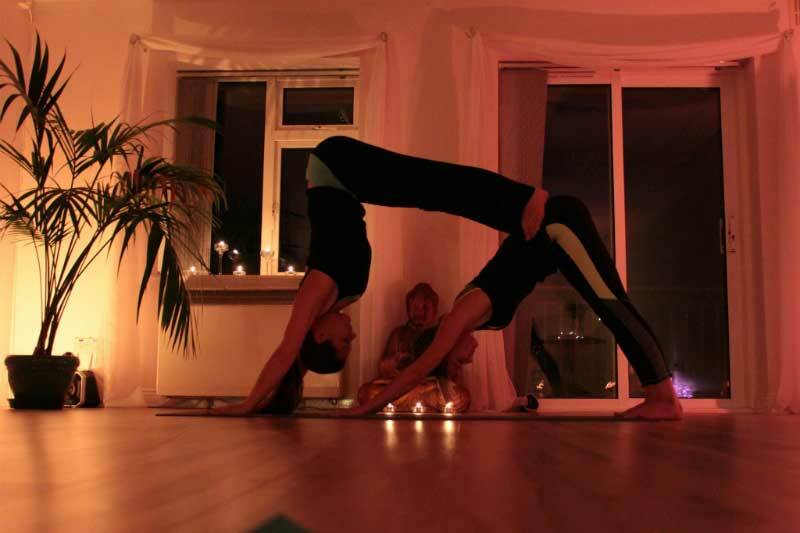 With confidence and a greater understanding of your body and yoga, enjoy the benefits of a led practice. An hour and a half flow of ashtanga primary series, is very dynamic and can get hot, so expect to sweat! With the awareness that you have brought with you from the previous class, you will develop the ability to modify each posture (asana) to suit your needs, so your practice becomes your own. Hands on adjustments are given to help deepen your practice with encouragement to develop the limbs of yoga. This level allows you to become confident with the rhythm and pace of a full lead class, which you can apply to your own self practice. This class is not suitable for beginners. A self practice class is suited to everybody, it was how it was traditionally taught. With self practice, you begin to build each pose, one at a time, with one on one guidance, at a pace that is totally suited to your needs, allowing complete beginners and more experienced practitioners to practice alongside each other in a non competitive space. Adjustments and guidance are given. This style is empowering as it gives you the freedom to explore your body at the pace you desire, within a class environment, while also being able to practice at home or away. 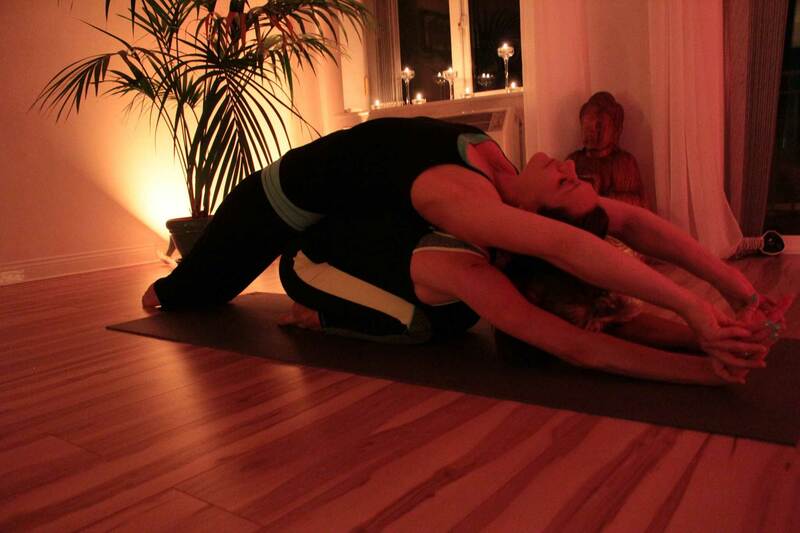 At Wicklow Yoga, Claire has created an oasis of calm to retreat to after a busy day. You feel relaxed as soon as you walk in the door. The atmosphere is friendly and welcoming and the only person challenging you is yourself. The classes are never too full so you are assured of Claire’s individual attention as she moulds a new you! My fitness and flexibility have improved immensely, most importantly it is a lot of fun with lovely friendly people, I’d thoroughly recommend it. Yoga is an ancient philosophy of life as well as a system of exercises that encourages the union of mind, body, and spirit. In the words of Patanjali, author of the Yoga Sutras, “yoga is the ability to focus the mind on a single point without distraction”. There is simply no other discipline quite like yoga as it utilizes the body, mind and spirit, all in one practice. Yoga is indeed a spiritual path that is based on ancient sacred philosophy, but one does not need to make an ethical decision when practicing yoga, rather finding your own path is wholly accepted. The holistic benefits of yoga are suitable for the young or old, sick or well, with any religious background. The secrets of yoga are inwardness, concentration, and purification of mind and body with cleansing thoughts and food. The word “Ashtanga” means eight limbs and refers to the eight limbs of Classical Yoga. Traditional Ashtanga is the name given to a set of practices compiled by the sage Patanjali, some time around 200 BC. The eight limbs are described by Patanjali as eight limbs of a tree. Each limb is as important as the next and all share the same purpose, to grow towards the light. The goal of yoga is to merge the mind to the true self. To achieve this objective there are eight practices known as the eight limbs of Ashtanga yoga. “Samadhi” (Absorption in the Self). The particular system of Ashtanga yoga that is widely practiced today comes from more recent origins, that of K.Pattabhi Jois, from Mysore, South India. He studied this system while being mentored by Prof. T. Krishnamacharya. Rama Mohan Brahmachari taught Krishnamacharya in the early 20th century all aspects of Yoga, including the ancient text Yoga Korunta. These teachings were passed on through oral traditions, Yoga Korunta was several thousand years old founded by the ancient sage Rishi Vamana. Yoga Korunta is the basis that was developed by Pattabhi Jois that formed the sequence of asana’s (postures) known today as Yoga Chikitsa (Primary Series) Nadi Shodona (Intermediate Series) and Sthira Baga (Advanced Series). Yoga Korunta gives instruction of pranayama (breath), asana (posture), vinyasa (movement), drishti (focus) and bandhas (energy locks) as well as philosophical teachings of Patanjali and is suited to the lives of people with families and other responsibilities, making a daily practice available to everyone. K. Pattabhi Jois taught this form of Hatha yoga for 65 years and believed it is essential to enter the eight limbed path through asana’s (postures). The mental training of this Yoga challenges students to be self aware and conscious of the messages the body is sending, this is the transition from Hatha Yoga to Ashtanga (Raja) Yoga. As you commit to a regular personal practice, with patience these eight limbs of yoga naturally evolve. Contact us today. We are here to answer any questions regarding yoga classes and therapies offered at our studio and would love to hear from you.